Here’s another simple and quick drum miking setup. The Recorder man approach to tracking drums is another option when you only have two mics. 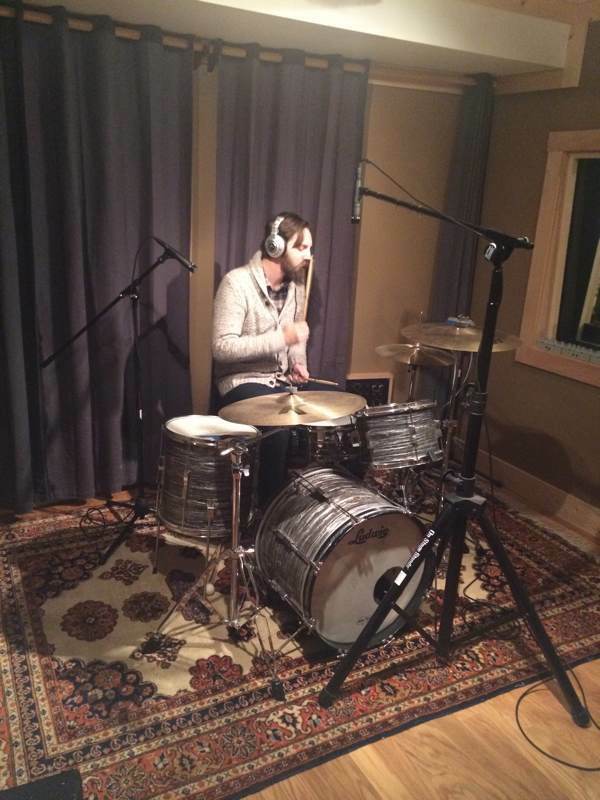 This method to recording drums has become relatively popular in the last couple years. It’s easy to understand, easy to set up, and gets great results. The idea is to set up two “overhead” microphones that capture a balanced and phase-accurate stereo image of the entire drum kit. Position the first mic so that it is about two drum sticks height directly above the kit, and pointed straight down at the snare. 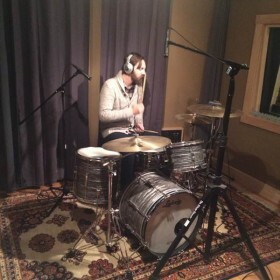 Position the second mic over the ride cymbal side of the drummer’s shoulder, and also pointed at the snare. You could alternately point this mic more towards the kick drum beater to focus in on the bass drum a bit more. 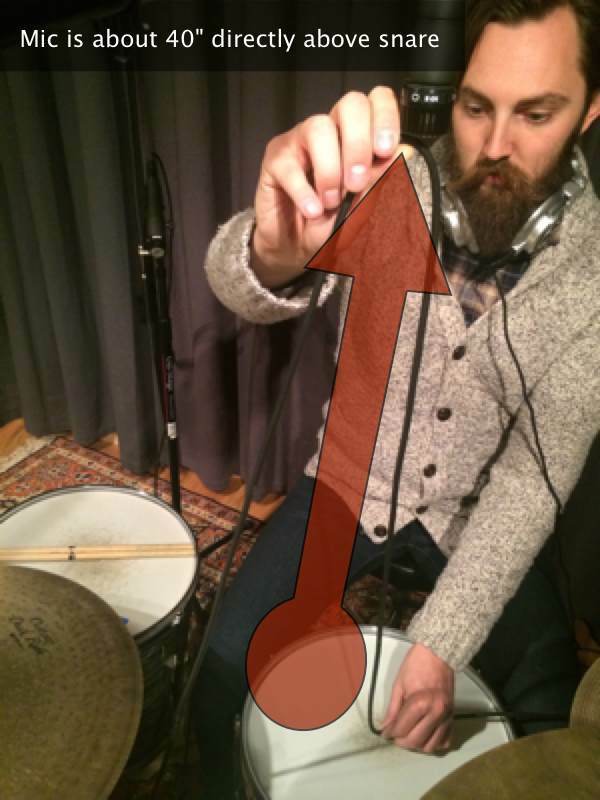 Next, you want to use a simple method to measure the distance of the two mics from both the kick drum and the snare drum. Take two drum sticks and put them end-to-end on top of the snare drum. This is the distance each mic should be from the snare (probably about 40 inches or so). 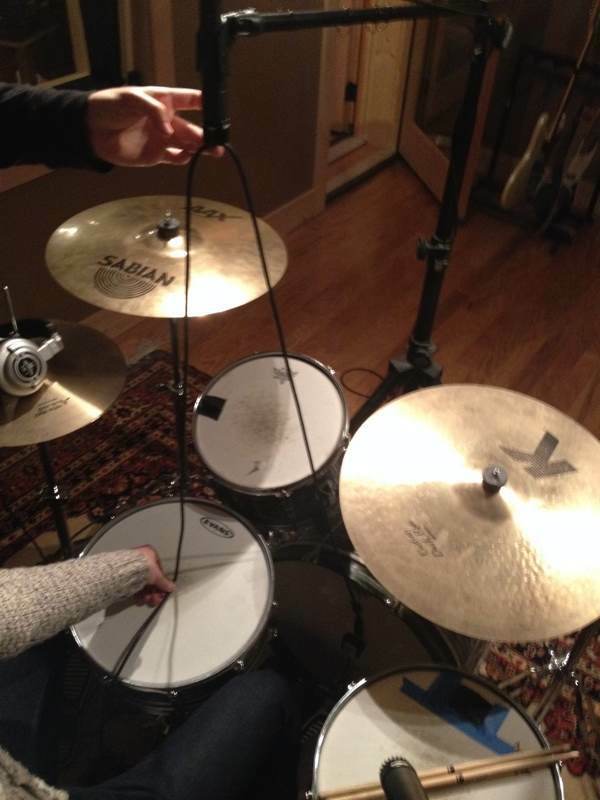 To make sure both mics are equidistant from the kick and the snare it’s easiest to use a mic cable or a long string. Hold or tape one end against the kick drum where the beater makes contact with the head. Pinch the cable at the length where it makes contact with the first mic. While holding this position, tape the other end of the cable at the length it makes contact with the top head of the snare drum. At this point the string or mic cable should be in a sort of triangle shape. Move the top point of the triangle – the part you have pinched – to each mic to verify they are both of equal distance from the kick and snare. 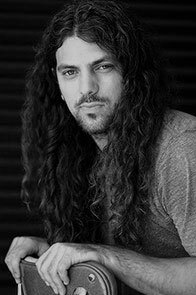 Taking a minute to get this right is important, otherwise there will be a small offset in the timing of the sound in relation to each mic, which will make your drums sound wimpy. This is called phase alignment. When thinking about choosing mics, the traditional Recorder Man advice recommends two of the same kind of mic. However, I feel using two different microphones can produce a more interesting stereo image of the drums. 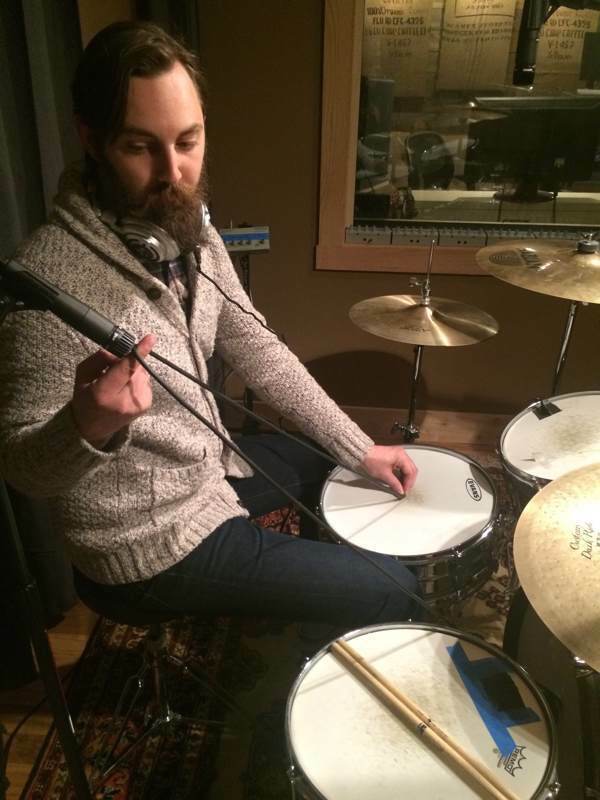 When you mix the drums, you will want to pan each mic some degree of left and right. Having a different microphone for each side can give the drum mix an interesting tone. As far as exactly what microphones to use, the Shure SM57 or Audio-Technica 4033 are always good and affordable options.